Recently I was studying periodization training for Olympic-level athletes and came across some research which talked about the most important ab exercise for activating all the muscles in the core, and it was a little surprising on what I found. 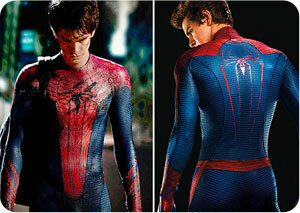 Taking on the role for The Amazing Spiderman is Andrew Garfield, hit the gym hard before suiting up. This young actor didn’t have a problem leaning out, but he did have to bulk up and gain strength. There’s a lot to deal with if you truly want to get killer abs, the perfect eating all the time, the intense exercise plan, and the perfect amount of rest and relaxation for recovery. I’m going to make it easy for you with this 15 minute abs workout.